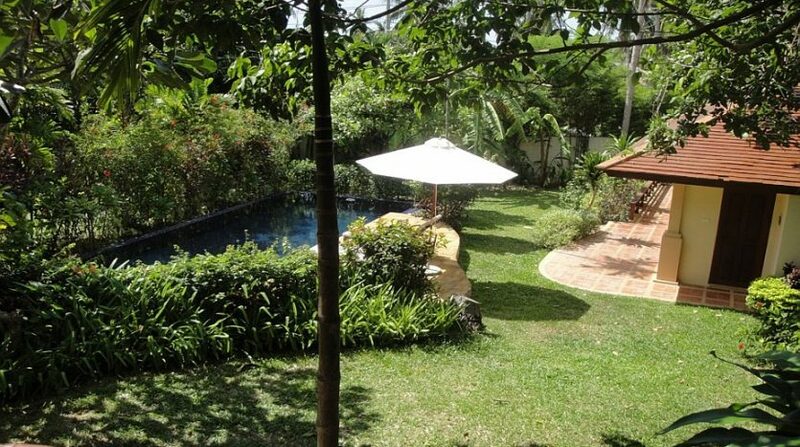 The garden is the liveliest and most likely the best when it comes to plant variety and yard space. 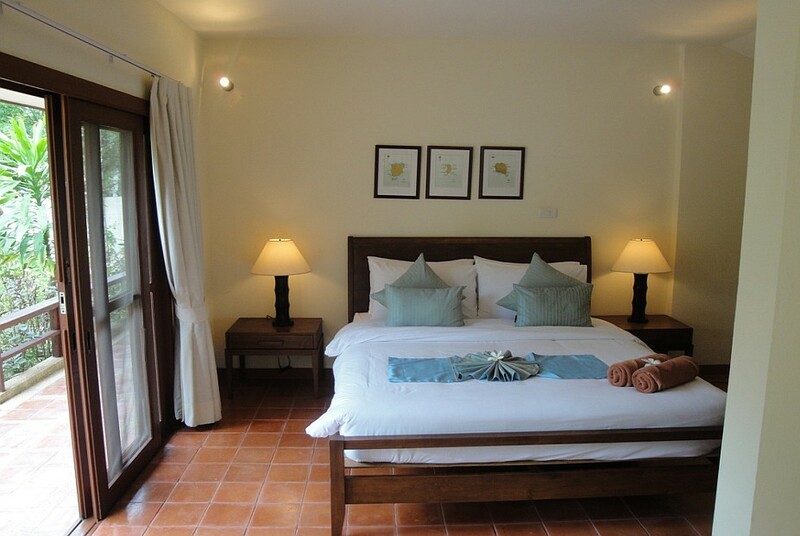 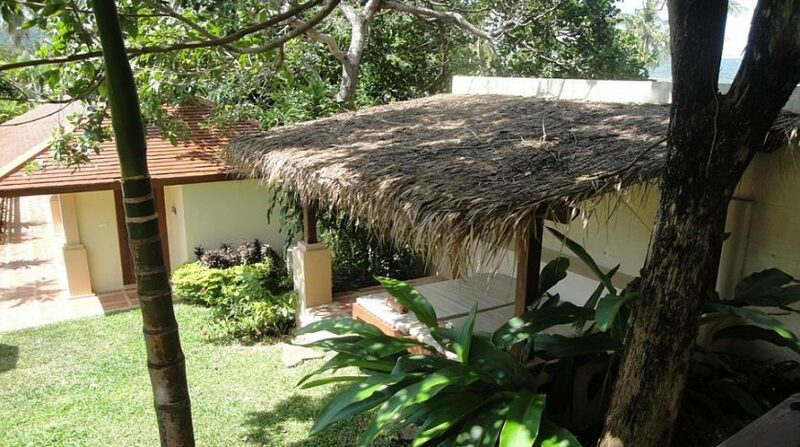 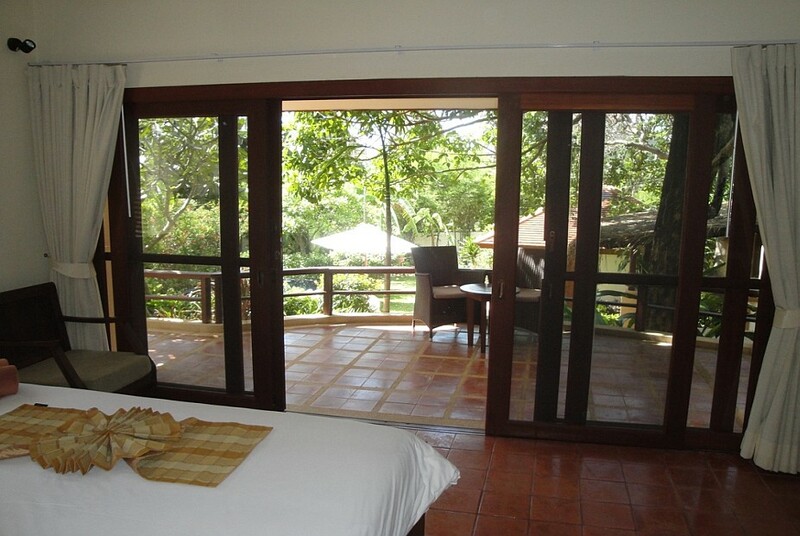 Placed in three independent edifices, the villa has three bedrooms, a master suite, and a private outdoor shower. 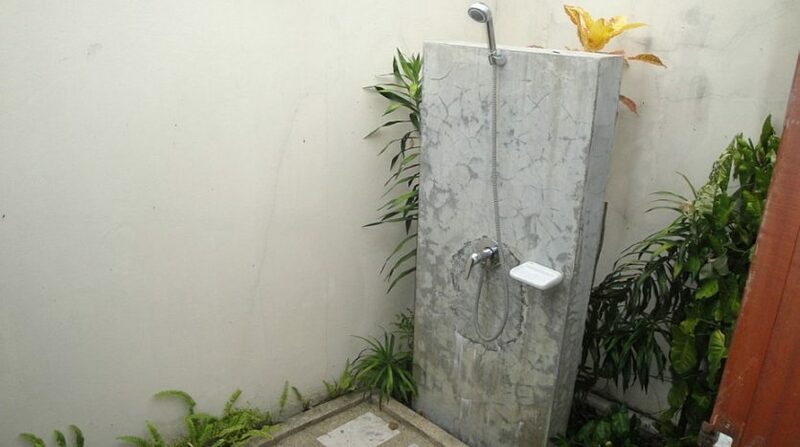 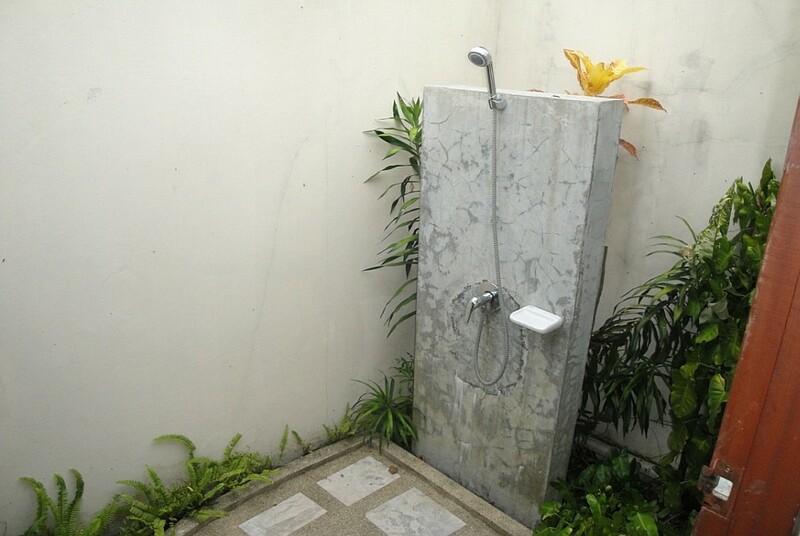 The twin room comes with an outside landscaped shower. 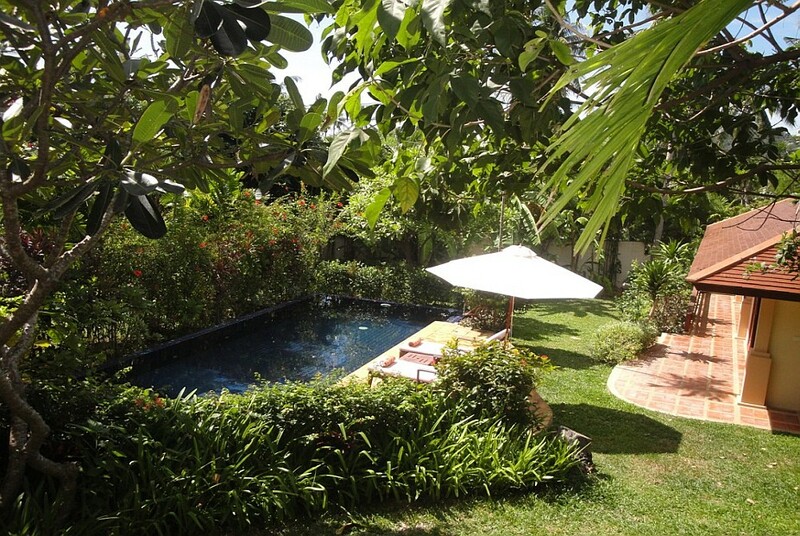 This leads straight onto a big dining patio excellent for alfresco eating and all overlooks the private pool. 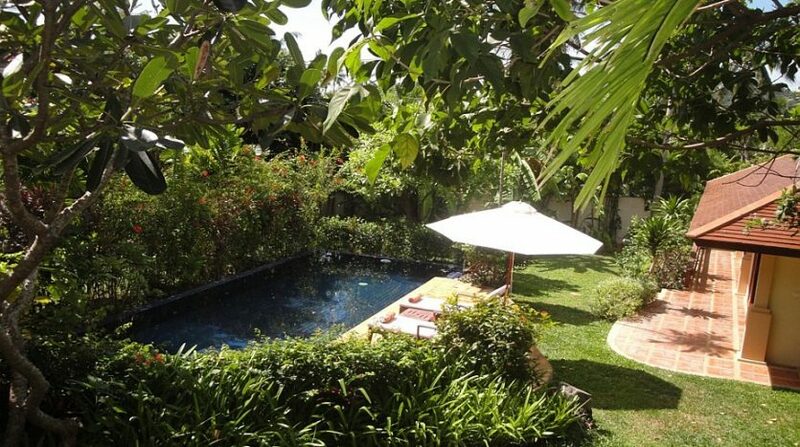 An outdoor Sala and verdant tropical gardens complete the villa. 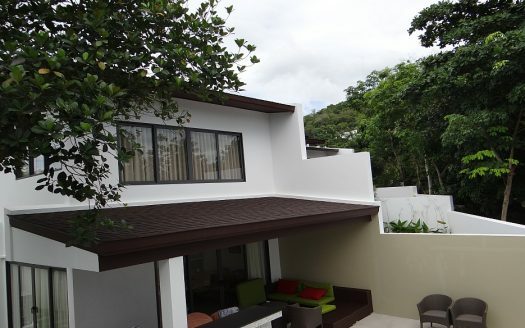 With 24-hour Estate security, the Villa is extremely safe and secure. 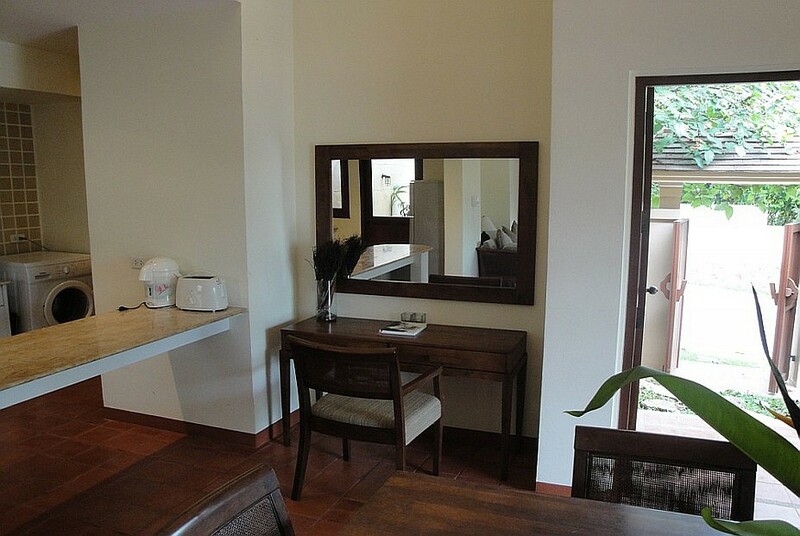 There’s parking for 2 big vehicles and there’s a maids’ dwelling space below the dining patio. 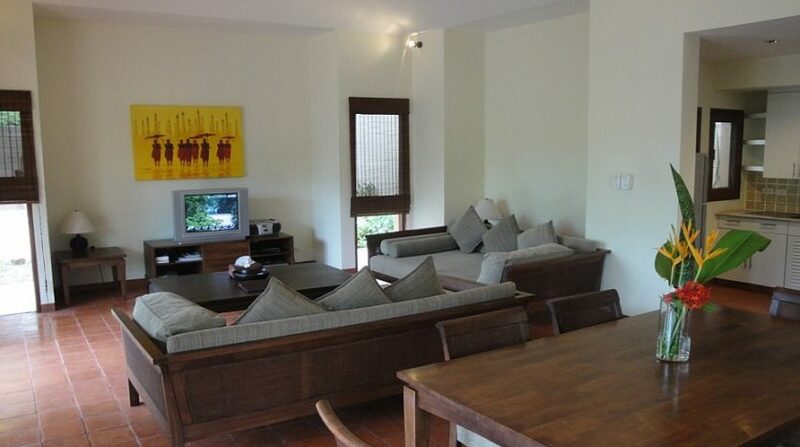 Villa Maprao has Cable Television, DVD-player, CD playing ability and complimentary broadband Wifi. 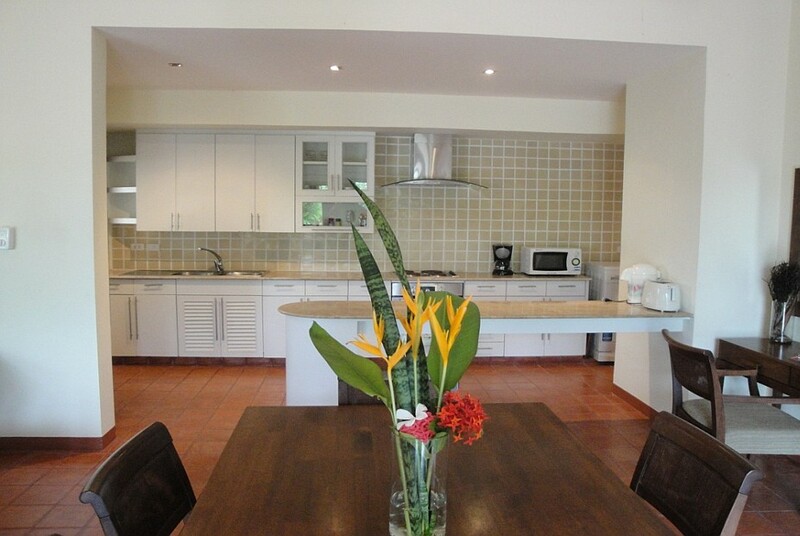 In addition, it features a fully furnished kitchen with pots, pans, cutlery, dishware, glassware and so on for 6 visitors. 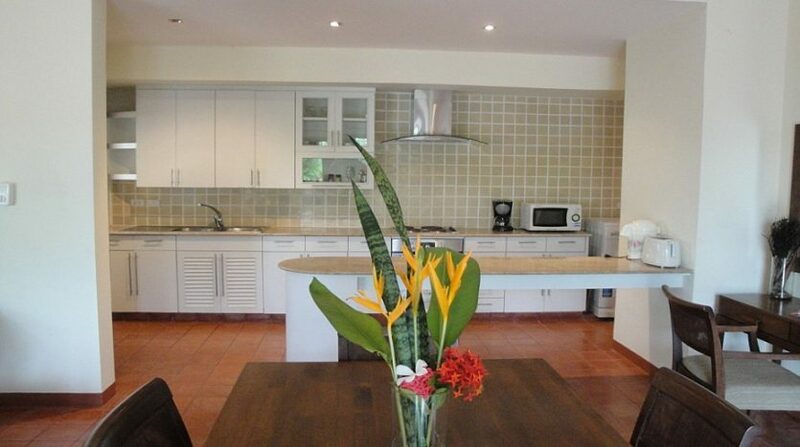 Additionally there is a tennis court in the Estate that will be free to all guests staying in Villa Maprao. 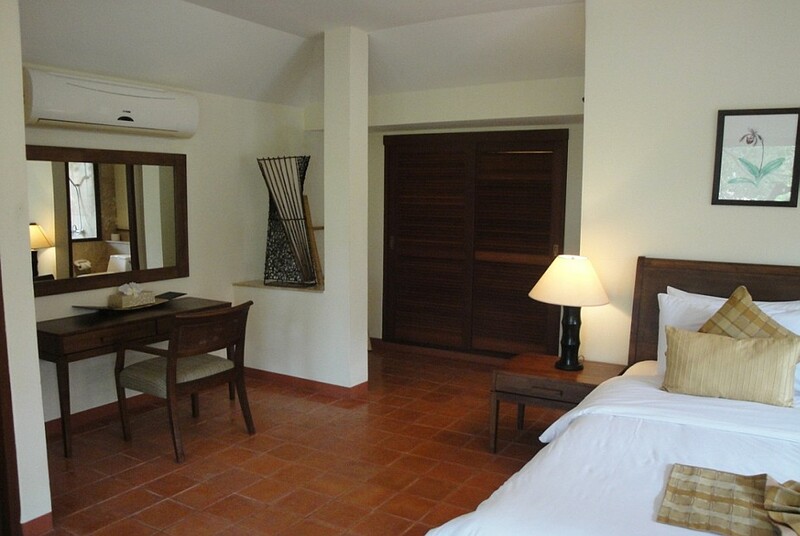 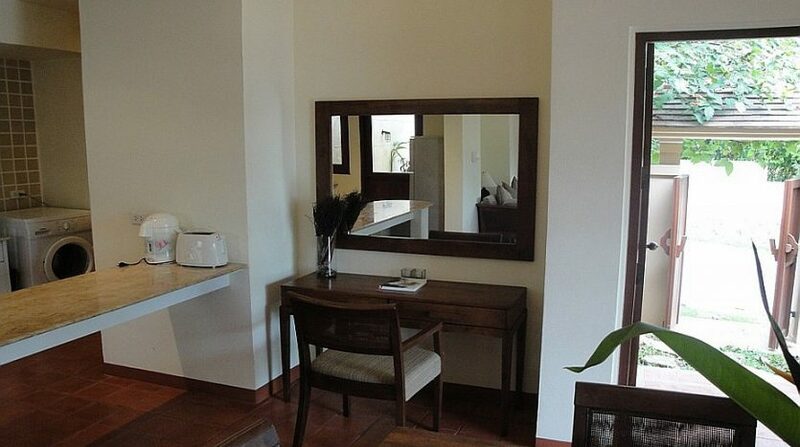 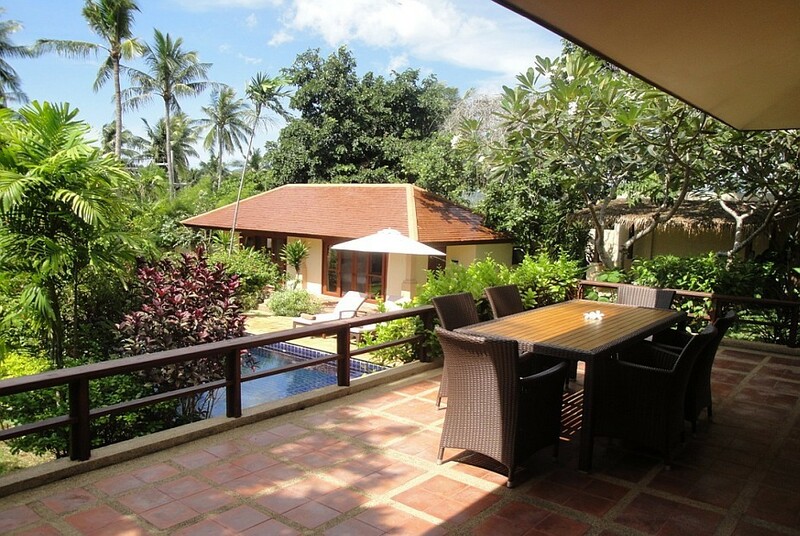 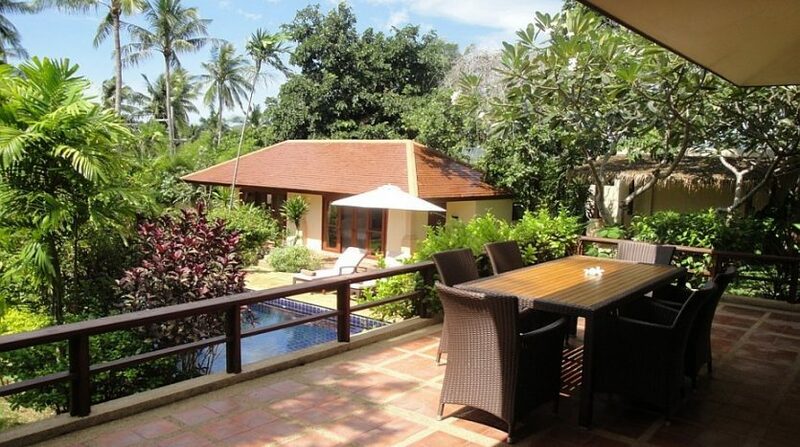 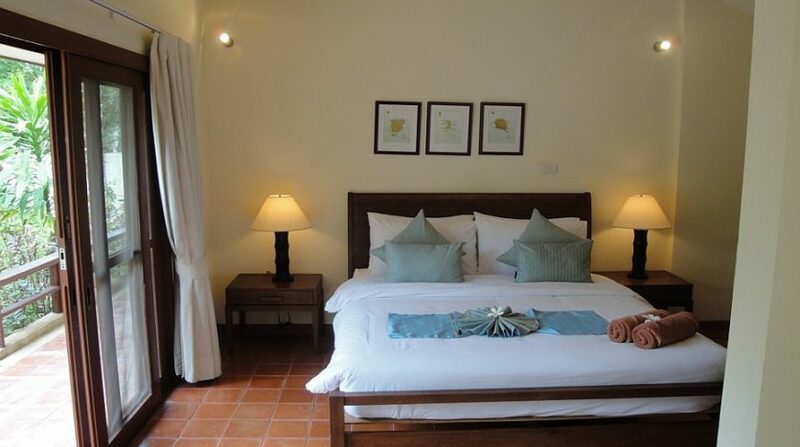 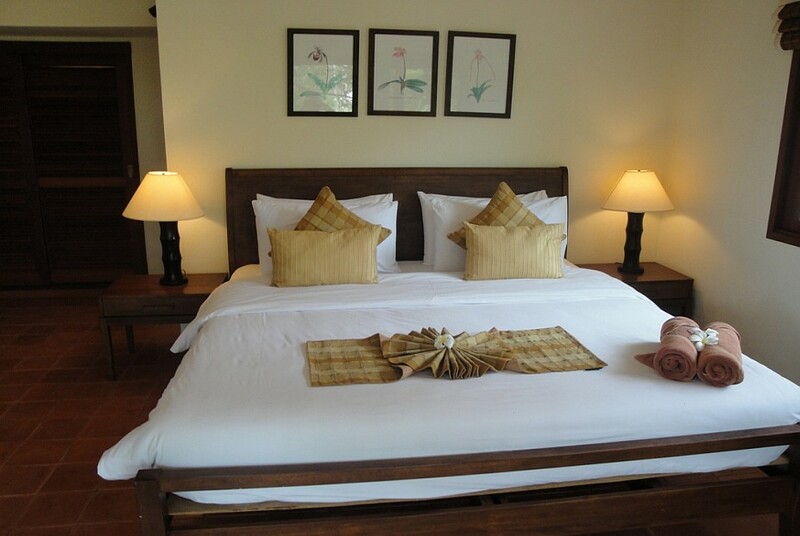 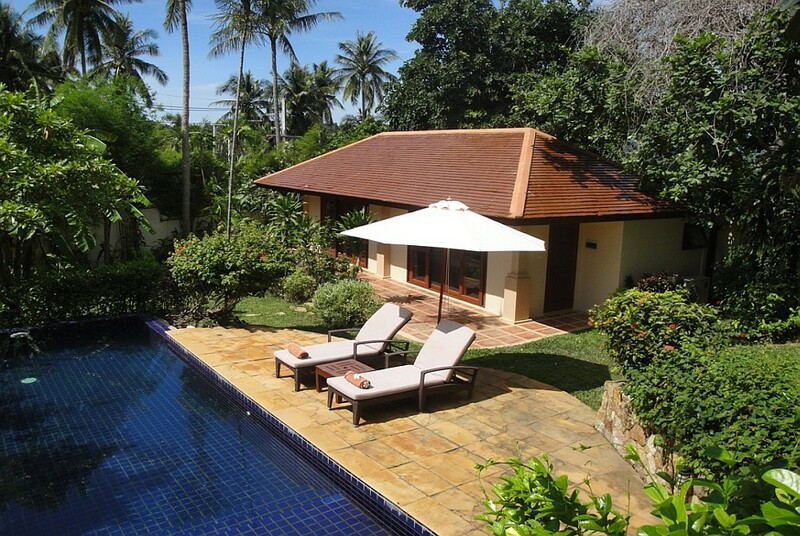 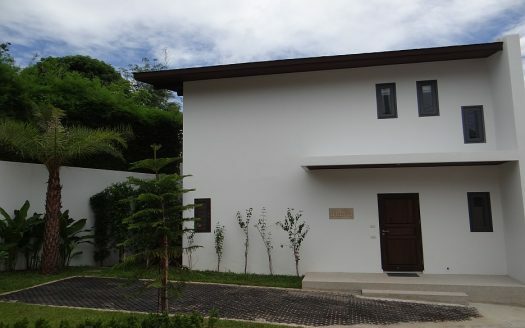 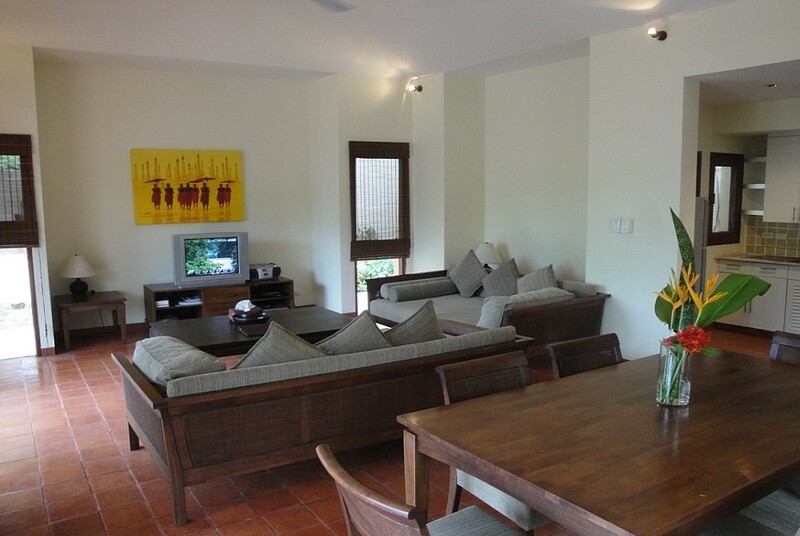 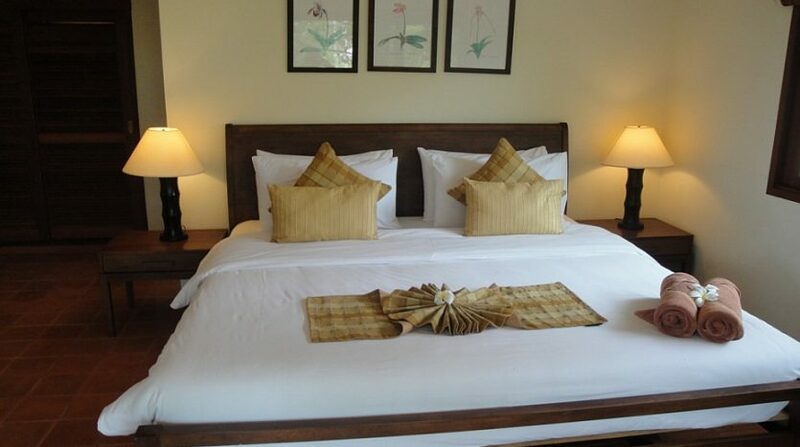 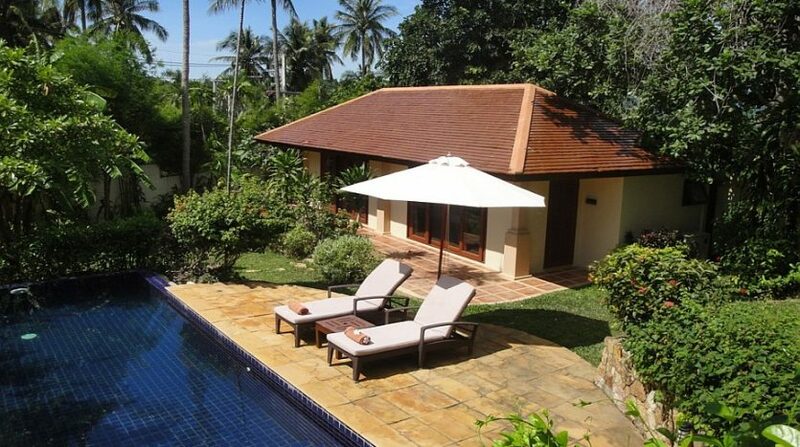 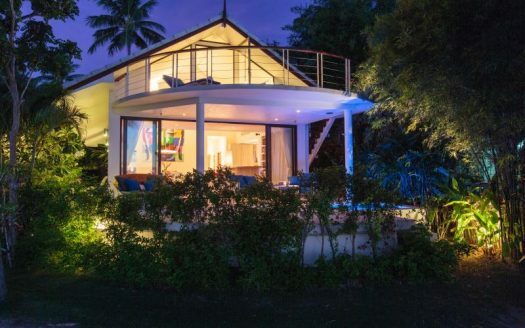 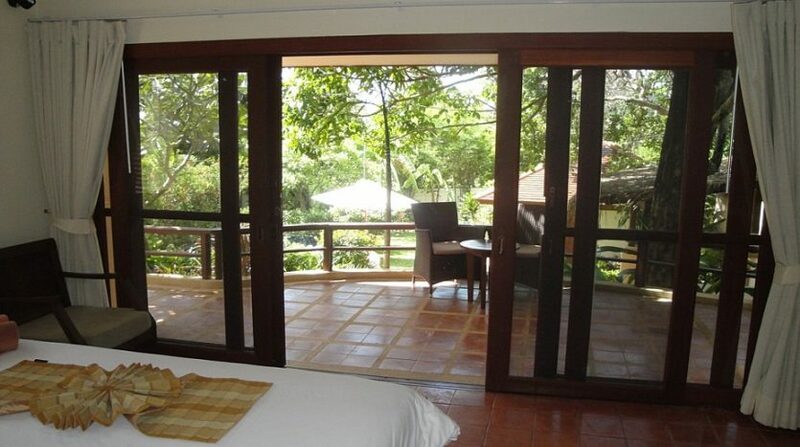 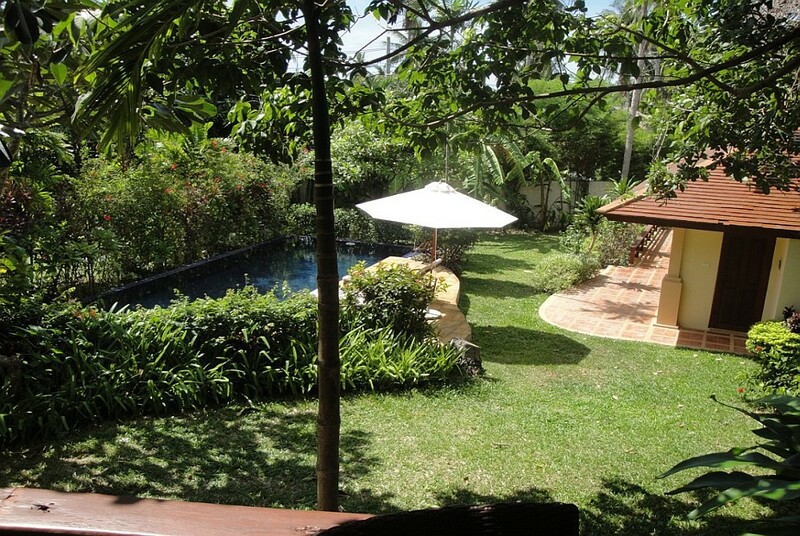 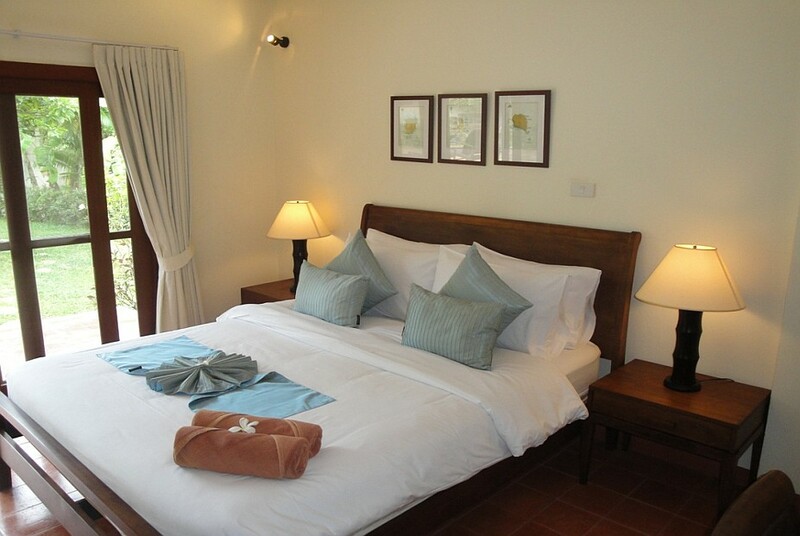 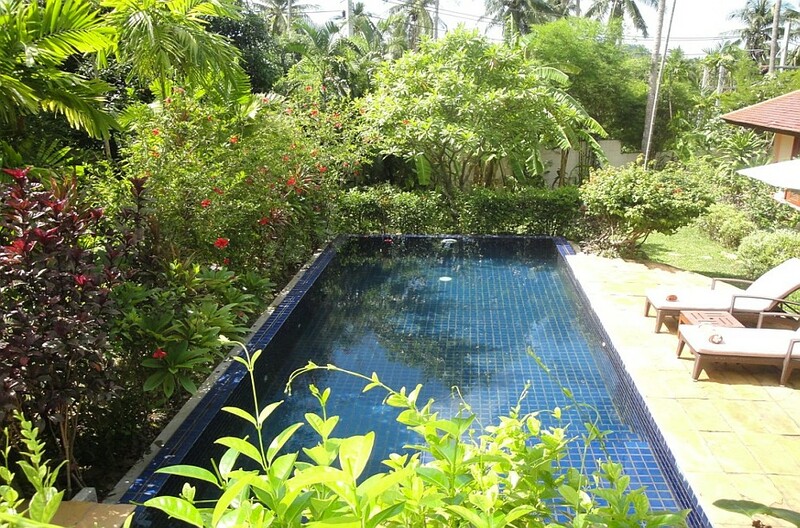 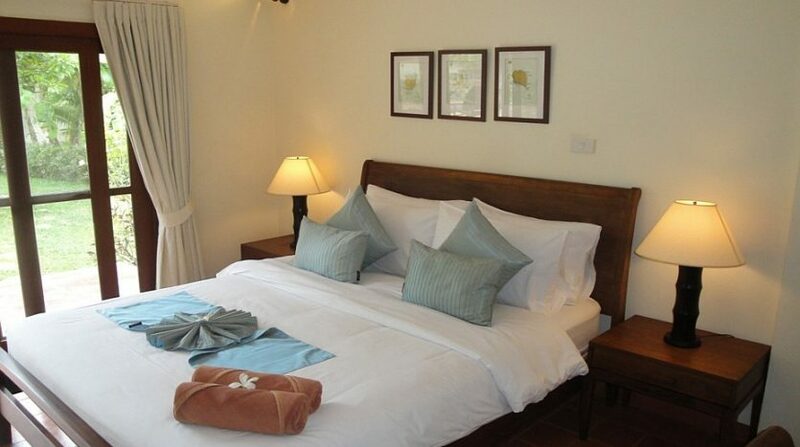 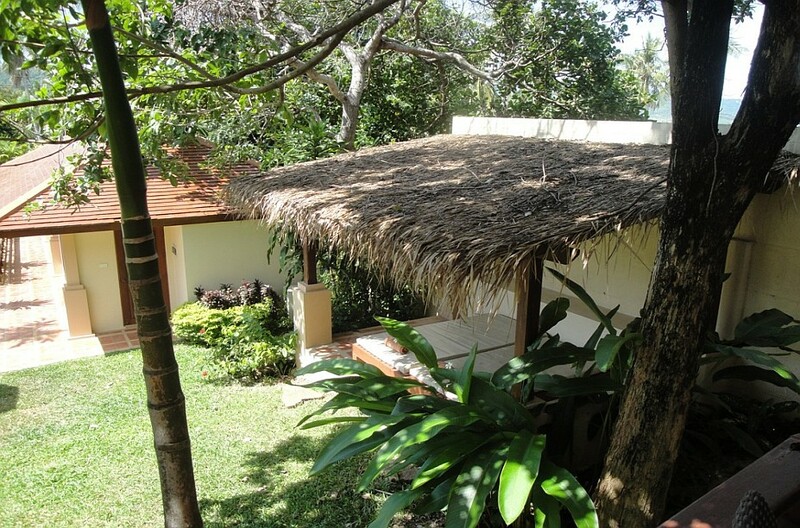 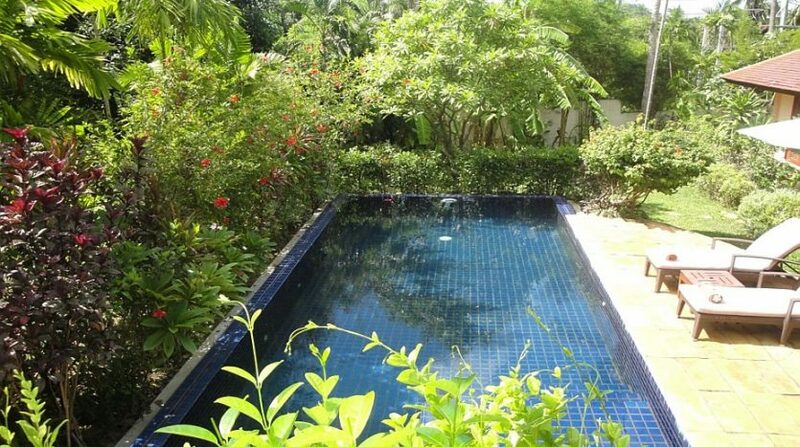 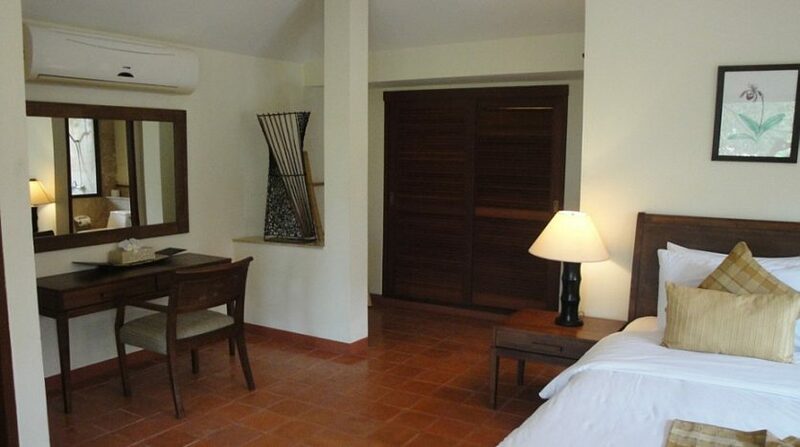 The Estate is placed in a tranquil part of Koh Samui in the Northeast corner.